The End of Europe as a world power? Even before this economic crisis, Europe was weakened by a political crisis. Many Europeans have been preoccupied with revising European institutions, but repeated rejections of the Lisbon treaty demonstrate that a united Europe no longer captures the imagination of many of its residents. Lacklustre leadership of European organisations is both a cause and a result of this loss of momentum. Behind this drift is the stark reality that Europeans have never quite committed to Europe, largely because of the continued pull of nationalism. If Europeans were serious about being a major power, they would trade the British and French United Nations Security Council seats for a European one. This is not about to happen. Europe’s drift also manifests itself militarily. Few European states are willing to devote even 2 per cent of their budgets to defence; and what they spend their money on makes little sense. National politics and economics dictate expenditures, so there is much replication of what is not relevant and little investment in what is needed. The whole is less than the sum of its parts. Afghanistan is a case in point. The European contribution there is substantial, with more than 30,000 soldiers from EU countries. But the involvement is uneven, with nearly a third of the troops coming from the UK. In many cases the roles are diluted by governmental “caveats” that limit missions, a lack of equipment and commitments of uncertain duration. European political culture has evolved in ways that make it harder to field militaries willing to bear the cost in blood; the US secretary of defence describes this as “the demilitarisation of Europe – where large swaths of the general public and political class are averse to military force and the risks that go with it”. All this limits Nato’s future role, as Nato mostly makes sense as an expeditionary force in an unstable world, not as a standing army on a stable continent. Time and demographics will not improve the situation. Europe’s population has levelled off at about 500m and is rapidly ageing. 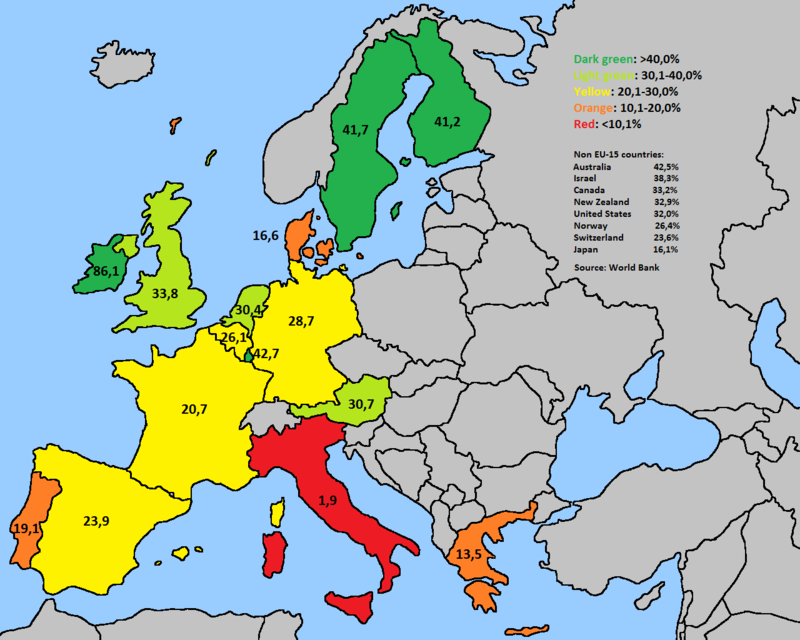 By mid-century the percentage of Europe’s adults who are older than 65 is projected to double. Fewer will be of military age; a smaller number will be working to support the retired. Or, as Mark Steyn likes to say, demography is destiny. One thing to bear in mind was the Europe’s extensive (and enervating) social-welfare state was made possible because the United States largely bore the cost of keeping the Russians from eventually rolling on to the Atlantic after World War II. At the time, it was necessary: Britain was bankrupt and Western Europe was largely flattened by the war. But the moral hazard created by having someone pay for their defense beyond the point their economies could afford to pay their own way let them instead buy social peace (and votes) through large-scale government welfare. This in turn lead to fewer children being born, and hence fewer people of working age to support the increasing number of elderly retired folks (who retired at ever-younger ages), until they hit they point they’re at now, when the state can no longer afford those promised benefits. It’s hard to say what could have been done differently, however, given the geopolitical realities of the Cold War.